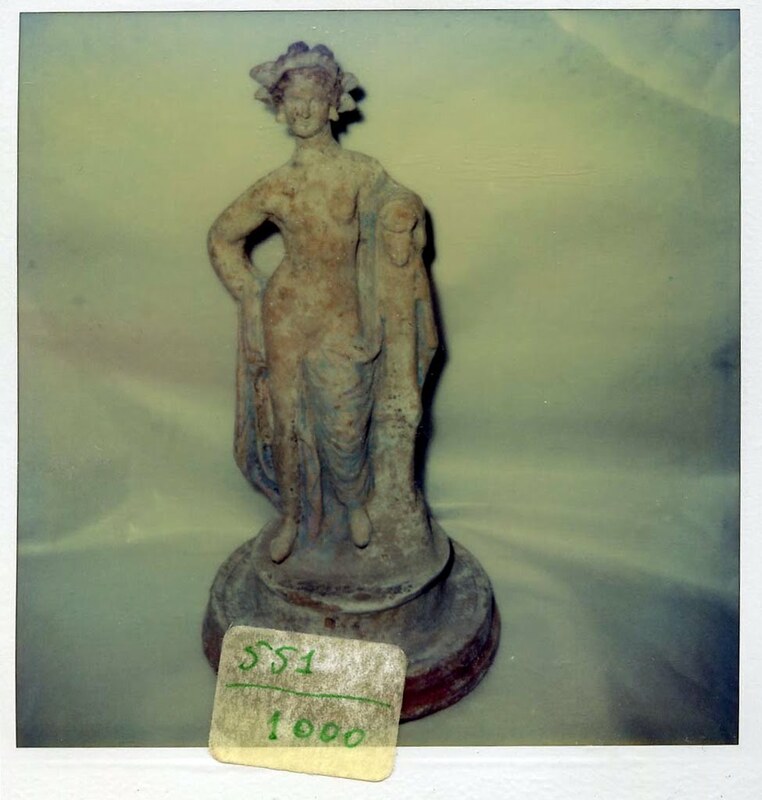 Among the images seized in the Medici Dossier in the Geneva Freeport was this Polaroid of a Canosan terracotta figure. The figure appears to be holding a Medusa mask in its left hand. The figure seems to be similar to one from an anonymous Japanese private collection that is due to be auctioned at Christie's in June (lot 110). Who sold the Christie's figure to the Japanese private collector in the 1980s? Who is the anonymous Japanese private collector? Who is the present proprietor ("Another property")? Will Christie's reveal the full and detailed collecting history of this figure? Polaroid of a Canosan figure from the Medici Dossier. They're definitely not the same object, though that doesn't answer your questions about the item to be auctioned.